Non valuable paper bills, but it's easier to make custom play money. 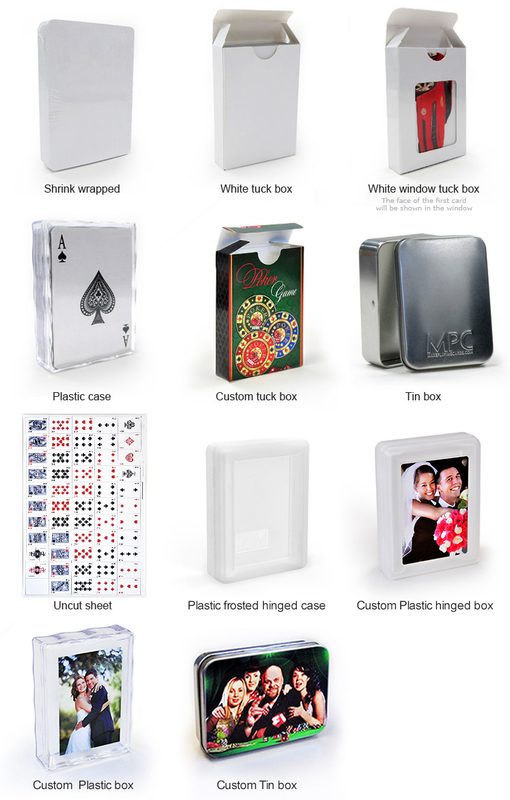 Customize your own printable custom-made play money for board games, which requires management of money. Also small custom play money is great for teaching kids how to count money. BoardGamesMaker.com personalized Paper bills comes in rectangular shape and it's very light weight. 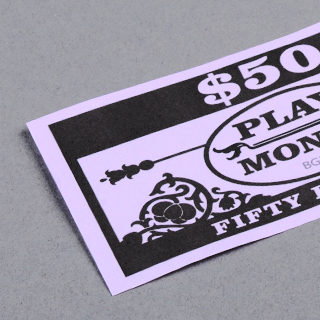 Design play money on 100g white paper with your personalized play money design. 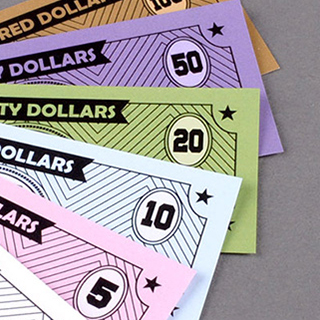 Best to print a lot in various size so you can tell the difference of the paper money. 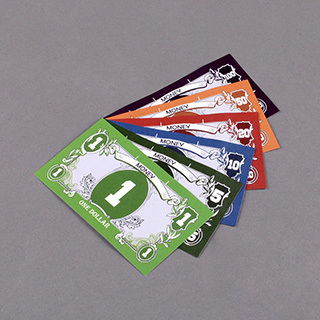 Also we have non-customized board game parts in our Game pieces section, such as paper money, coins and game tokens.